Passion for LIFE - CRICKET: Sachin Tendulkar - The Greatest Batsman of all time ! Sachin Tendulkar - The Greatest Batsman of all time ! 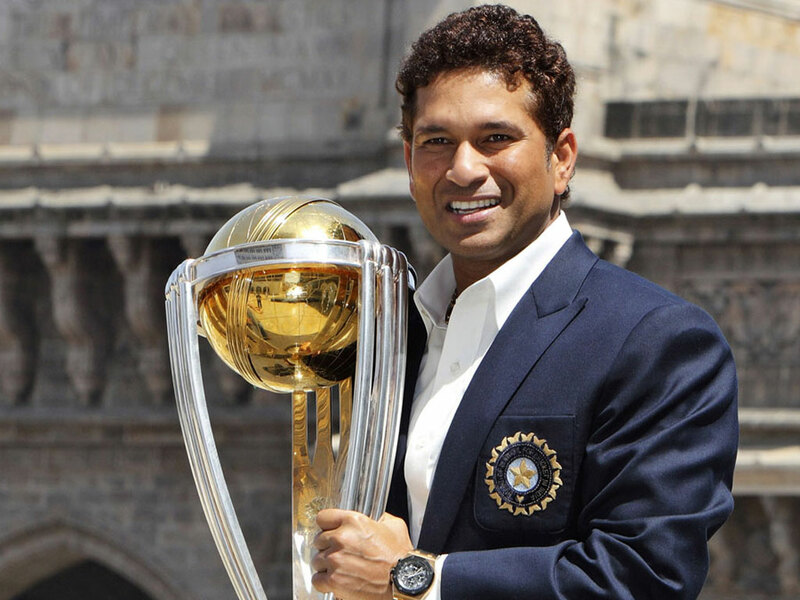 Born on 24th april, 1973 in Mumbai, Sachin Tendulkar remains the undisputed Champion of Cricket. He began taking interest in the game when he was just 6 years old and was encouraged by his elder brother to pursue the sport. He began playing for the Indian team when he was just 16. He was one of the youngest players to be playing international cricket. He scored his first International century against England in 1990. His passion, commitment and dedication towards the game has been the talking point all through his career and this has eventually helped him in reaching and achieving great heights and breaking records. He captained India for a short period but later relinquished it as he felt that he needed to concentrate more on what he did the best for his team ie; scoring runs. Sourav Ganguly took over as captain and Sachin Tendulkar from there onwards proved to be unstoppable. Before the 2011 w'cup, Sachin had been part of five w'cups but never got a chance to taste a w'cup victory. That was his long standing dream- a w'cup win ! N finally, in 2011, in front of his home crowd at the Wankhede Stadium, Mumbai, India beat SriLanka in the final to be crowned World Champions bringing an end to a long standing desire of Sachin Tendulkar ! In 2012, Sachin created yet another record that no one had ever come close to achieving- 100 International centuries and the 100th one coming against Bangladesh in Dhaka during the Asia Cup 2012.
" enjoy your game and chase your dreams " - Sachin Tendulkar . The Reason why he is considered a Genius and a Real Inspiration in the Cricketing world ! Sachin Tendulkar has annonced his retirement from the limited overs format of the game ie; one day cricket. He shall be remembered for not just for the records that he has surpassed and created but also, for the number of matches India has won due to his efforts. Not to forget the match against australia in Sharjah which according to me ranks among the BEST ! 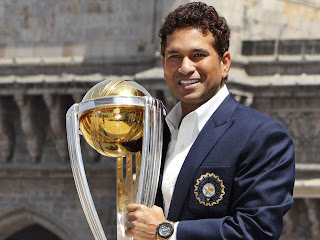 Sachin Tendulkar, the Greatest Batsman of all time is going to be missed in International One-Day cricket. He, however, would continue playing test matches. Looking forward to seeing him play and score many more runs in the longer format of the game. 463 matches, 18,426 runs, 96 half centuries and 49 centuries- Incredible !